Welcome to the Ash Class blog! 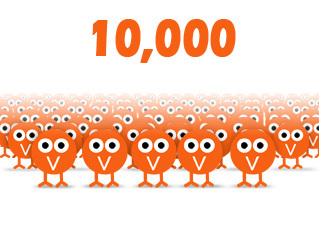 : 10,000 hits on our blog! I wanted to say a huge thank you to Molly and Isaac for the many excellent comments they've been leaving on our 100 word challenges this week (week 26 - you can find the posts here and here) - do have a look because they're a super example of how to make really interesting and productive comments, picking out all the good parts but also some bits that can be improved. Moreover, they highlight any mistakes sensitively and sensibly so that the writers can use their advice to improve their work in the future - well done guys! I think we can get 30,000 people by the end of the year and maybe 7 new flags! Mr Kenyon, I've created a new blog and I have forgot how to put the comments through to me before that really go on the real blog! Help me please! What a fantastic achievement for your blog! This reflects all your hard work. I have really enjoyed looking at it and I look forward to coming back and seeing more! Happy Easter Ash Class+ Mr Kenyon!